Natural fairness soap with tfm 76%. It has five major ingredients: saffron, mulberry, turmeric, almond oil and calendula which enhances natural fairness.vitamin b1 & b2 contained in saffron, penetrates into the skin to reduce dark melanin and also removes pores and free radicals. 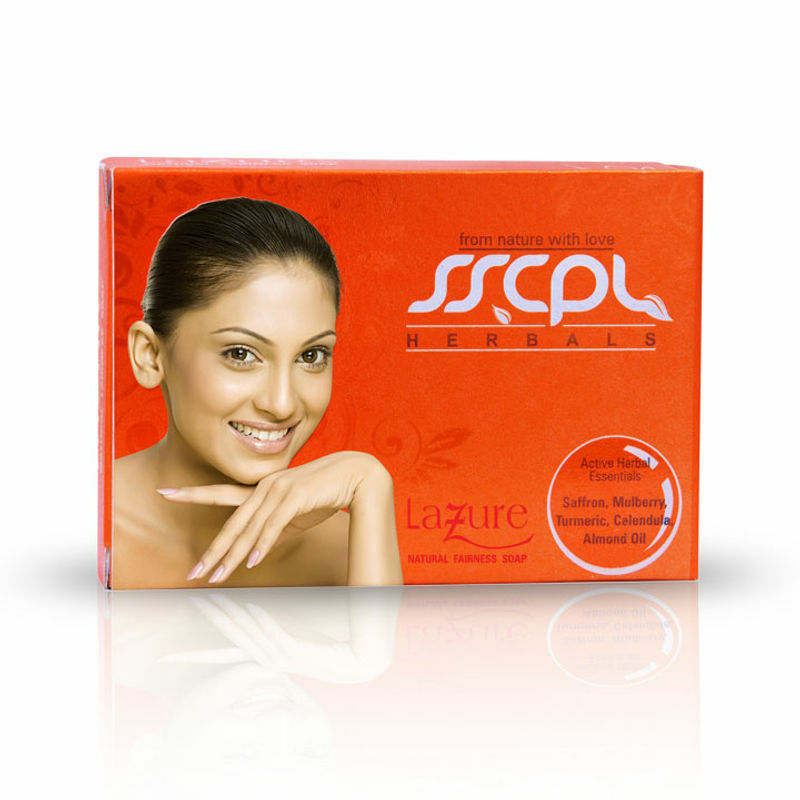 The regular use of this soap gradually increases your fairness giving a visible glow to your skin. Also removes dark spots, rids of tan and retains your skin tone. This soap gives long lasting fairness which is always a better option compared to facials which provide temporary fairness.